Make Sure Your Branding is Always Sunny. The Philadelphia Branded Conference Bags will make your logo shine out. Large front flap for branding. Large Main Compartment with Zip. 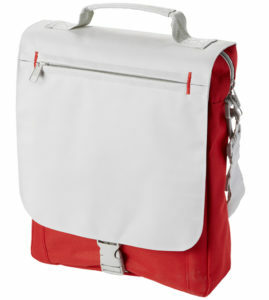 Padded handle and adjustable shoulder strap. Size: 25 x 32 x 7.5cm. Material: 600D & 300D Polyester. Printing Options – Screen Print & Transfer Print. Set Up Charge - £30 per colour. 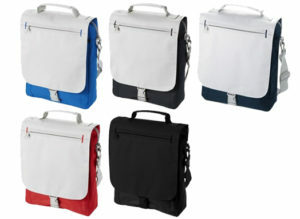 To begin with the courier style bag is ever popular. But this one will keep your goods safe. The front flap gives a great area to place your brand. 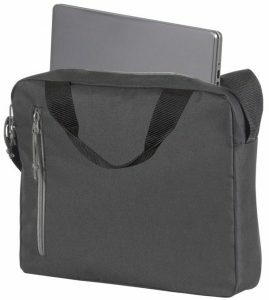 It’s zip pocket can hold the stuff you need the most and not let it fall out. The large main compartment, again, has a safety zip, so all is secure. is large enough to provides . Securely closed by a buckle. Carrying can be done by a variety of methods; padded handle or adjustable shoulder strap. The Promobag Warehouse is part of Per Annum Ltd. Founded for over 25 years we provide many clients with their branding needs. Our main aim, in all this time, has been to provide the very best in quality of goods and service. We know how important these will be to you and so we strive to achieve them daily. 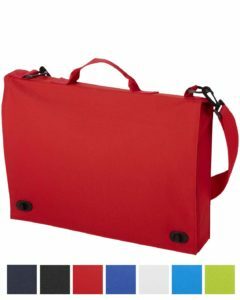 Philadelphia Branded Conference Bags are a small part of what we can offer. Call us, let us know all of your needs, you will be surprised at what else we can do. 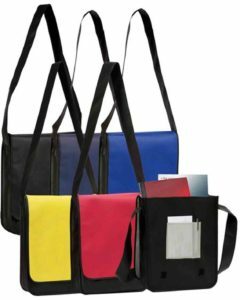 When you need Branded Company Bags and more, we are sure you will find, we are the best choice.